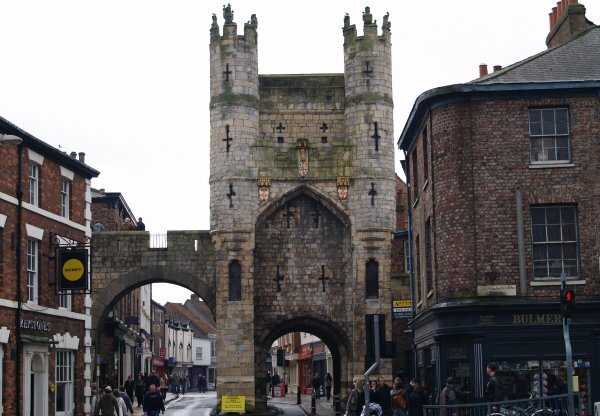 The Monk Bar medieval eastern gateway into the walled City of York viewed from looking down Monkgate. 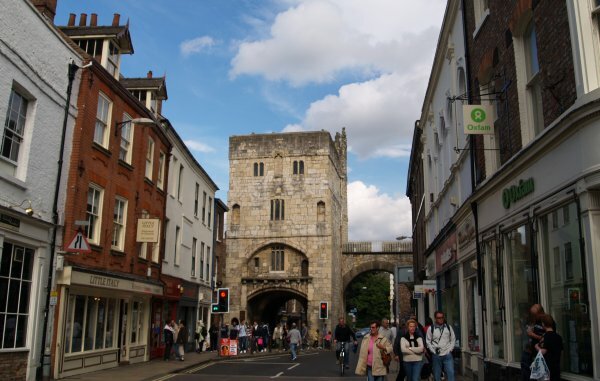 This the finest of York's medieval gateways and is vaulted on three floors and the portcullis is still in working order! 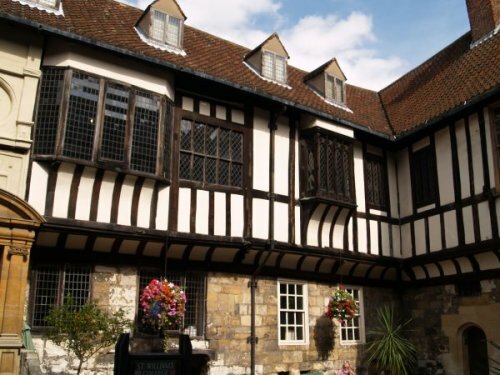 The gateway houses the Richard III museum. Through Monk Bar you enter Goodramgate - click for more pictures and notes on Goodramgate. 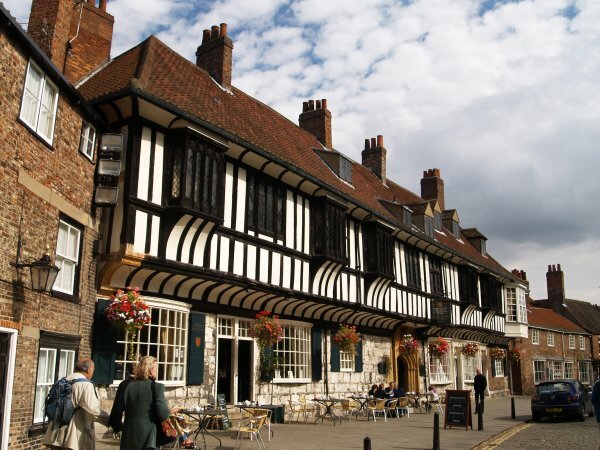 Walking through Monk Bar down Goodramgate towards the centre of York and forking right into Deangate you come to St William's College in College Street near York Minster. 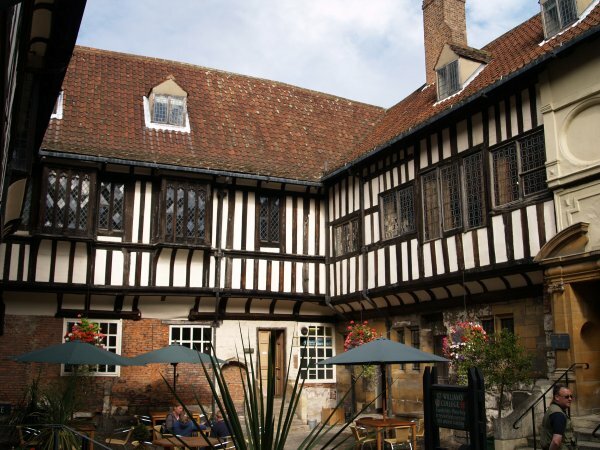 The wooden beams and carvings on them are a master class in craftsmanship and a most pleasant place for a cup of tea!. 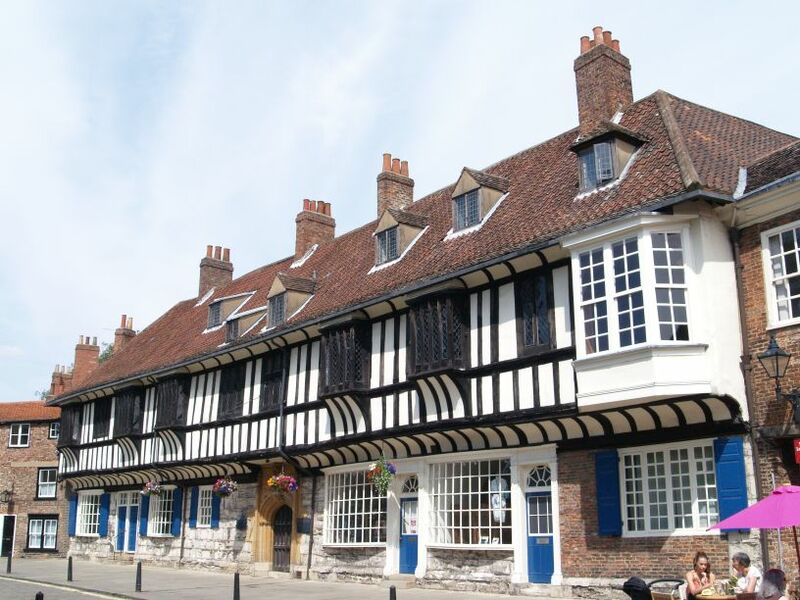 The building was built in 1453 for the Minster Chantry priests and St Williams College was founded 1461. Charles 1st had the Royal Mint and printing press here in the Civil War. 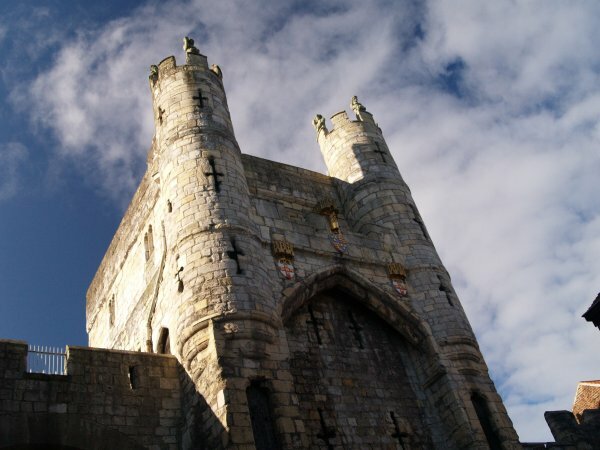 It is now used as a meeting place for various events. 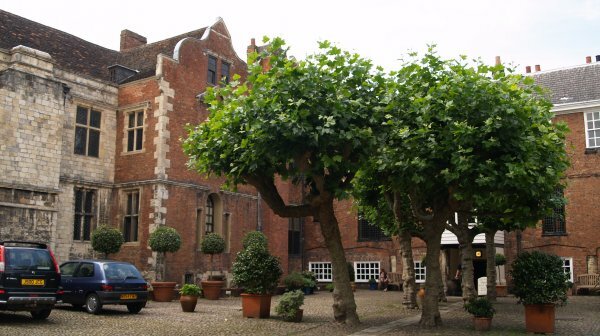 The courtyard of St William's College with an 18th century stone entrance added to this great medieval building. 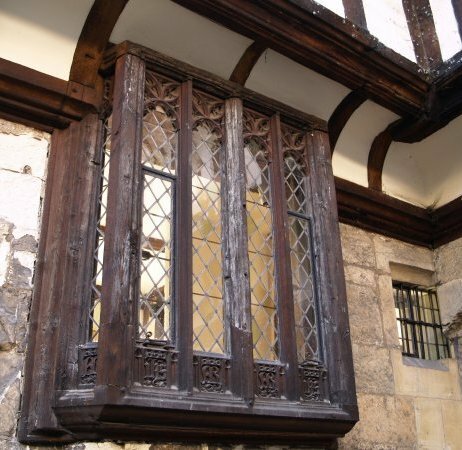 Some fine oak window frames - these will continue to last longer than any you buy now! There are some interesting carved figures carved into the timber frames in the courtyard of St William's College. 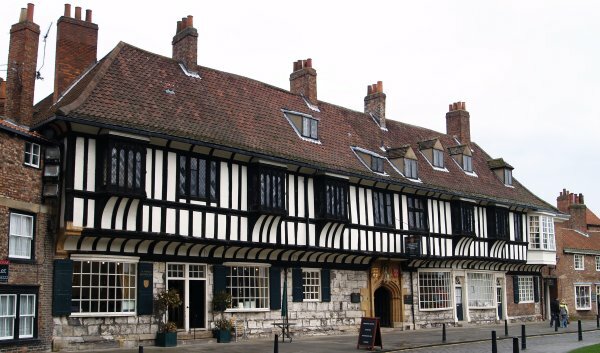 The Treasurer's House, York, just behind the Minster (owned by the National Trust). 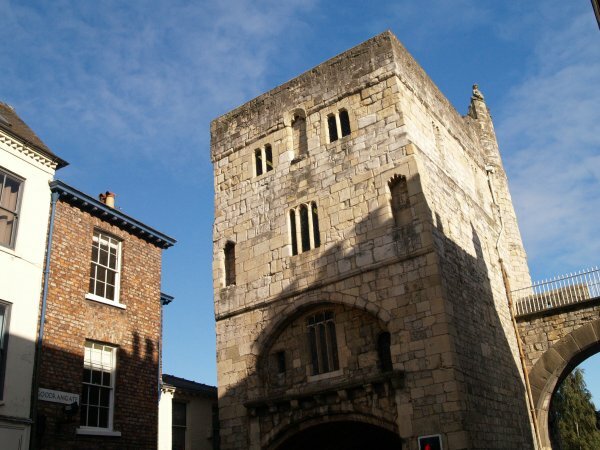 The first house on this site was built around 1100 for the first treasurer Radulphus, who was appointed by Archbishop Thomas of York. 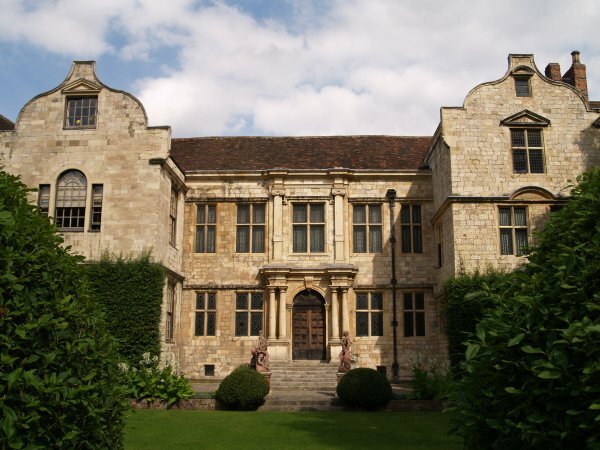 Radulphus's duties as treasurer was to look after the Minster's financial affairs. The office ended abruptly on the dissolution of the monasteries. 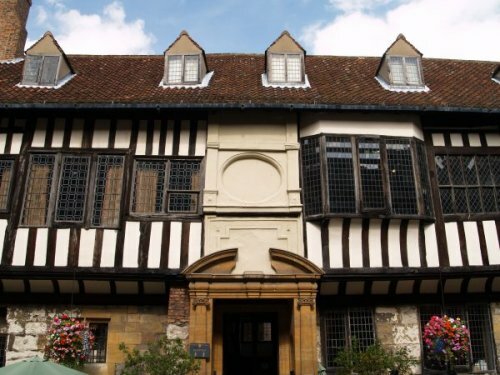 The Treasurer's House was used as a private dwelling by one family or another concurrent with gradual declining fortunes. 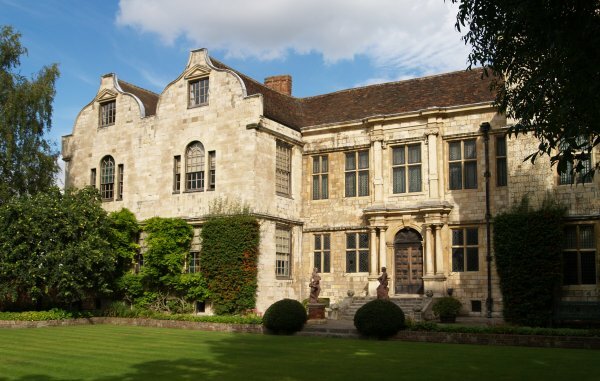 It was rescued by the industrialist Frank Green who died in 1930 and left it, together with some fine furniture, to the National Trust who maintain it to this day. A very handsome house indeed.